In Part One of this blog series we looked at Corporate Image. What corporate image means and why it is so important for businesses to have a clearly defined and well expressed corporate image. We discussed Corporate Image as the vehicle for the Business to present itself to its stakeholders, how it perceives itself and how it communicates its values and personality in a visual sense. Corporate Image is a powerful identity tool which ripples throughout every aspect of the business. The visual identity of the business impacts on marketing, PR, client relationships, stakeholders and investors. Art has a huge role to play in Business and not just because of the branding and imagery which we discussed in our previous article. 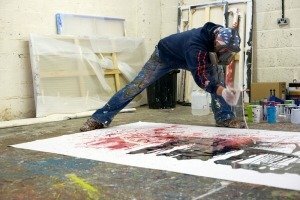 Art has far reaching effects within the organisation and is not just a major player in how the company is viewed but also how the people who work within it and come into contact with it, feel. Both about the business and themselves. A contemporary workplace can enhance a corporate identity and a business can embed its identity into its workplace design. 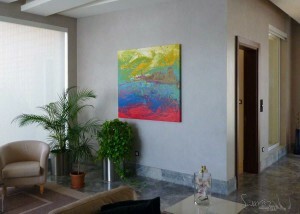 Art is a way of displaying company culture. When chosen well, art in the workplace can express the personality, values and culture of an organisation but also has a wide range of strategic benefits. Art is an opportunity for companies to help clients, visitors and employees get to know and get a feel for who the organisation is. Art in the workplace encourages and promotes social interactions, it stimulates emotional responses and fosters personal relationships. 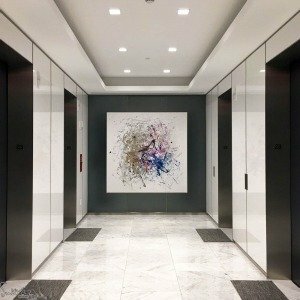 Art in the workplace effects how the people within the environment feel about themselves and the company for which they work. Art opens minds, broadens horizons, challenges fixed mindsets and facilitates learning. Art raises motivation and increases productivity. People respond to their surroundings. One of the Wellbeing Goals of Government and Health Departments is environments, both living and working. Adorning the walls with contemporary art, that provokes reaction and emotions is a way of binding individuals to an organisation, especially when it is changed at regular intervals. 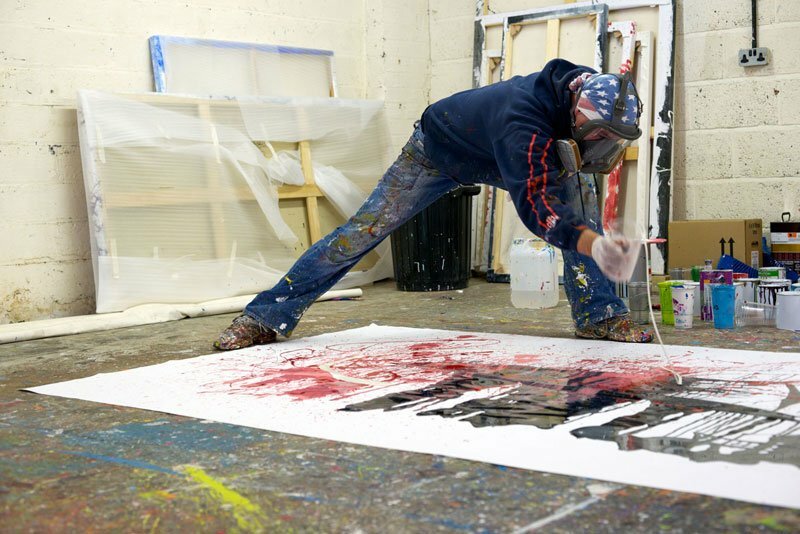 Art has the power to connect people to the strategic goals of an organisation and their sense of having a stake in it. 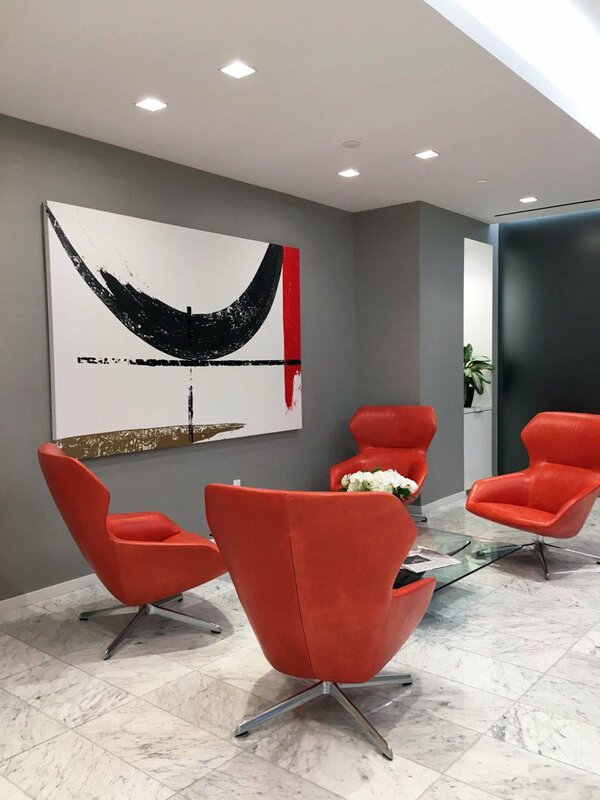 Art contributes to a productive working culture and it has been proven that workplace design has the power to motivate, engage and nurture individuals. Art connects with the biggest asset any business has at its disposal, its people. Art has the power to be so much more than how we decorate our walls, it tells a story about the people and the organisations that inhabit the space. Corporate Art Collections have been around since the 1950’s, pioneered by David Rockefeller at the Manhattan Chase Bank and with the Deutsche Bank hot on his heels and now owning the world’s largest corporate art collection. In those early days the Art was chosen according to the personal tastes of the CEO and not displayed or shared with colleagues or employees. Art was very much a token and display of wealth and success. Investing and displaying works by lesser known artists shows off the philanthropic side of the organisation and is a great way to do social corporate responsibility that benefits the Company, the employees and the Artist themselves. Having a Corporate Artist in residence is not only fantastic PR but it also hits every button we’ve discussed so far. Not only are you providing important support for living artists but the corporate benefits are massive. You have the advantage of being able to purchase or rent the artwork, not to mention being in the position to commission artwork specifically to fit your branding and corporate image. After reading these two blogs you are now obviously thinking, hang on, we’ve missed a huge trick here. 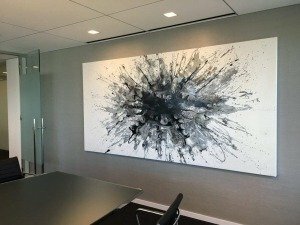 Don’t panic – I am hugely experienced at placing Art in corporate settings. 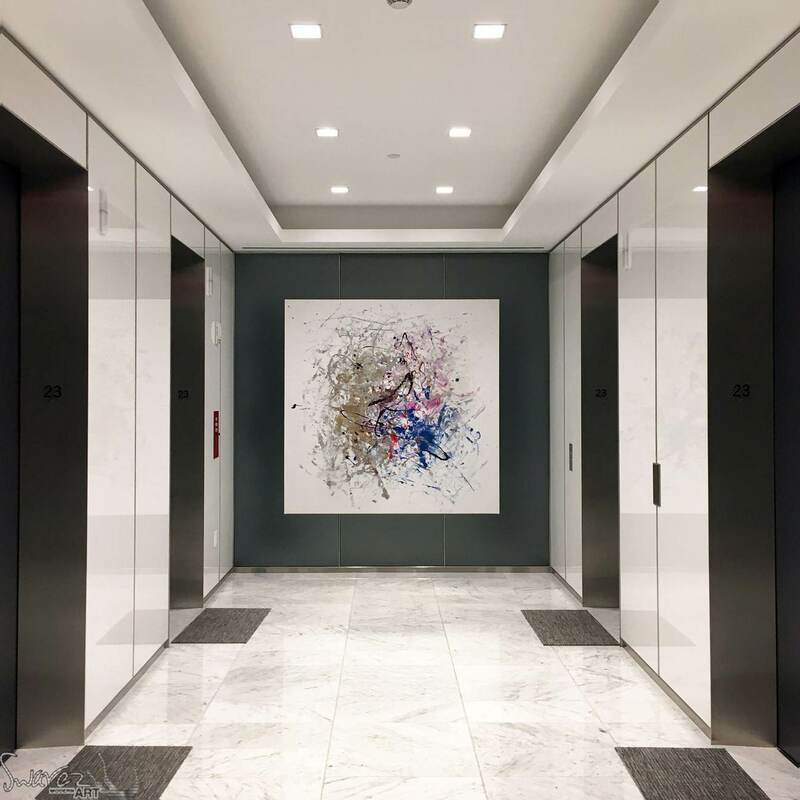 I work with you to help you choose the right artwork for your workplace taking into account all the factors that are important to you and your strategic and business goals. If you would like to find out how to start your own corporate art collection, find an artist in residence or simply choose some art to display in your offices get in touch today.